The protection of personal details is a top priority at the Hotel Villa Seeschau. For this reason, we operate solely in accordance with the laws on the protection of personal data and data security. Below you can find out what data we collect where necessary, how these details are processed and used and which third parties they may be shared with. When you visit pages of the Hotel Villa Seeschau website at www.villaseeschau.de (hereinafter: Hotel Villa Seeschau), we will only have access to anonymous data about you e.g. the website which led you to ours, your internet service provider and the pages you accessed on our website. 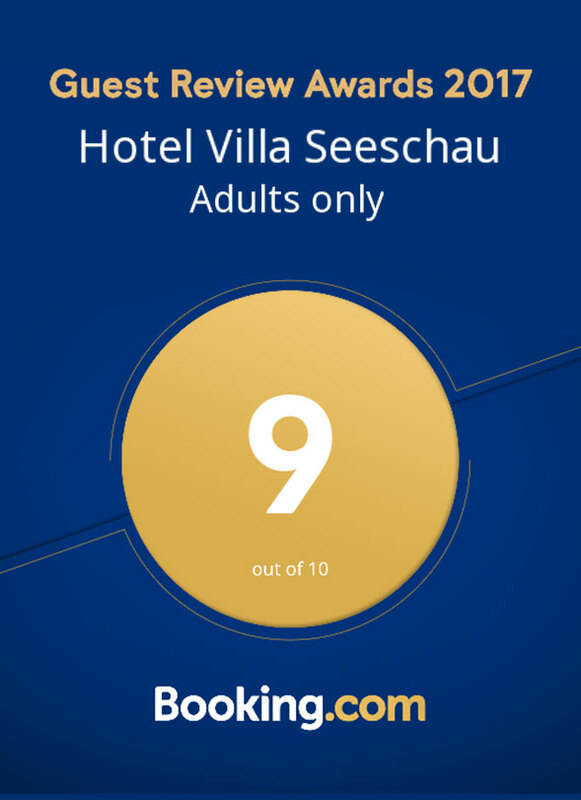 The Hotel Villa Seeschau will only use this information for statistical purposes to improve our products, service and website. We do not collect any personal details via our website unless you voluntarily provide these details (e.g. for online services) or consent to your details being collected or this is permitted in accordance with the relevant legal regulations on data protection. Usage data, such as the internet protocol address and details about the start and duration of use can, under certain circumstances, be automatically generated by technical equipment and are therefore essential for communications. Data which is no longer required for the transmission of a message is deleted or made anonymous. Any personal data acquired in connection with our online services will only be collected, processed and used in accordance with the legal regulations on personal data and only with the purpose of contract processing and safeguarding the company’s business interests in terms of advising and looking after our customers and meeting the demands of the product design. We will only use your data for the purposes of direct marketing or market research if you expressly agree to this. Your personal details will not be sold to third parties or used for any other similar marketing purposes. The Hotel Villa Seeschau takes technical and organizational precautions to ensure that your personal details are secured against any unintended or unlawful deletion, modification or loss and are protected from any unauthorized disclosure or unlawful access. The Hotel Villa Seeschau is not responsible for the data protection policies of any other linked websites or their content. The Hotel Villa Seeschau will comply with your requests for information, correction and deletion and any other rights insofar as these are represented by law. We will also continue to adapt our data protection policy in line with further developments of the internet. Any changes will be announced on this page in plenty of time. Please therefore access the page regularly to view the latest version of the data protection declaration. If you have any questions about the processing of your personal details, please contact the Hotel Villa Seeschau directly. Our contact details can be found beneath our information on the Teleservices Act (TDG) or via this link.